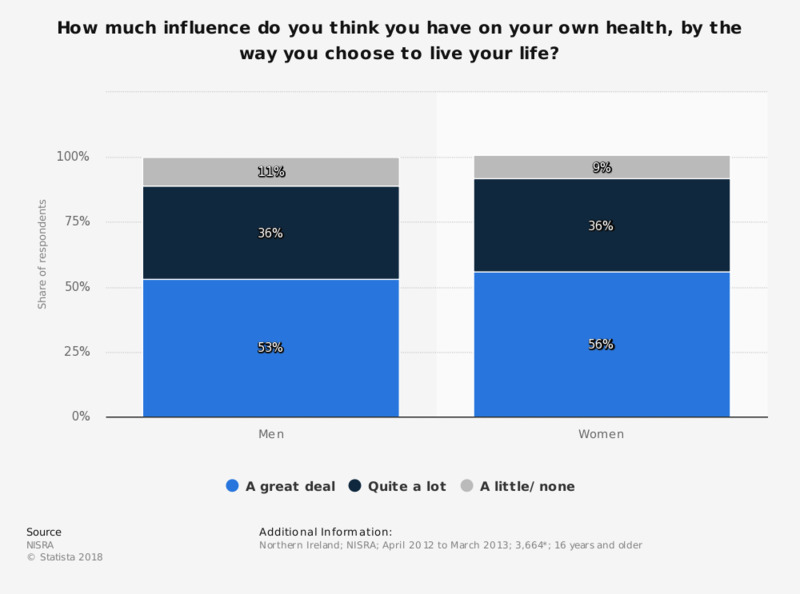 This statistic shows the response of individuals when asked 'How much influence do you think you have on your own health, by the way you choose to live your life? ', in Northern Ireland between April 2012 and March 2013. 53 percent of men and 56 percent of women think they have a great deal of influence over their own health. Is smoking allowed in your family car?